Players, rev those engines—the latest instalment of the world’s most downloaded mobile racing series launches today! 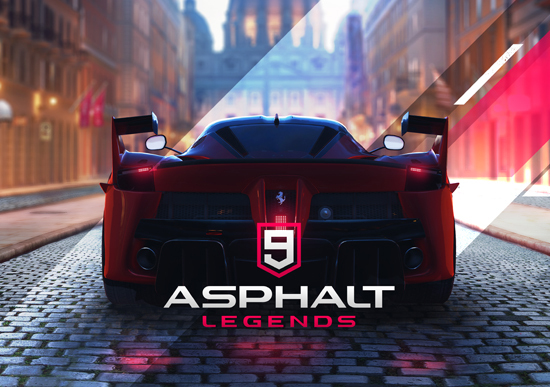 Gameloft, leader in mobile game publishing and development, is proud to announce the highly-anticipated Asphalt 9: Legends. Available to play now on the App Store, Google Play, and Windows PC, Asphalt 9: Legends lets thrill-seekers go head-to-head against rival drivers in some of the world’s fastest, rarest and most expensive hypercars. Those with a need for speed will get a taster of what it’s like to race cars such as the Bugatti Chiron, the McLaren P1 and – exclusive to Asphalt 9: Legends and the first time ever in a video game – the Terzio Millennio, through the streets of San Francisco, Cairo, Rome and many more. Brought to life through dynamic graphics normally reserved for console games, Asphalt 9: Legends lets players speed through breath-taking tracks set around the globe, delivering the sensation of real speed and power through your mobile. Hit the road solo or challenge the Asphalt community by playing in multiplayer mode, allowing up to eight drivers to battle it out to the finish line and climb the league table to reach legendary status. Asphalt 9: Legends also introduces new multiplayer experience with Clubs, a social feature allowing players to team up and pool their points in order to win rewards and top the Club Leaderboard. Every club is customizable, can have up to 20 members, and comes with a private channel for chatting with other club members and planning strategies for the next big race. To celebrate this exciting launch, Gameloft and Lamborghini have partnered for an in-game event with the exclusive Lamborghini Terzo Millennio – the only way in the world to drive this amazing concept-car. In the “Legendary Trip by Lamborghini” event, players will be able to win special in-game rewards, and even a trip to the Lamborghini headquarters in Italy! Download Asphalt 9: Legends on the App Store, Google Play, or Microsoft Store now!